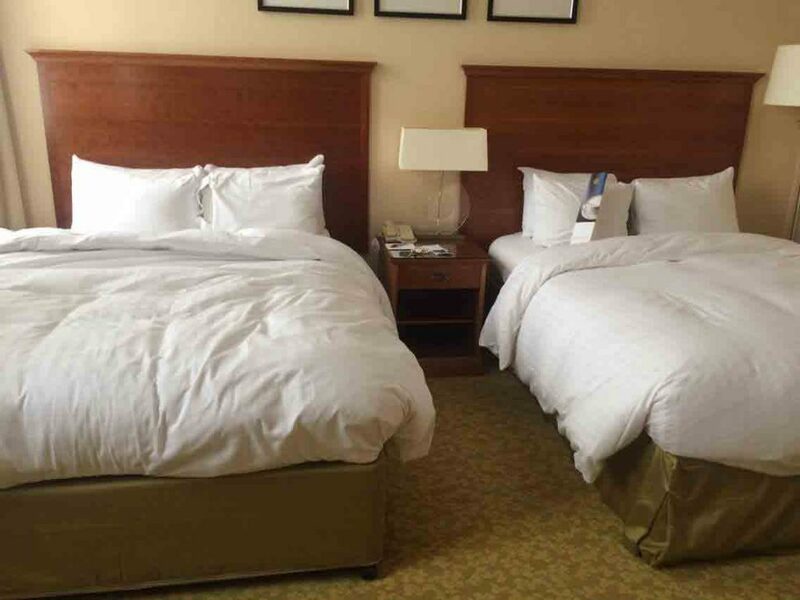 Read our review about our stay at the Birmingham Marriott! Last week we sent our team off to the Birmingham Marriott. Birmingham, a major city in the west midlands region of England! Birmingham is full of history, culture, the newly renovated grand central station is connected to the Bullring shopping centre. Along with one of the best universities (University of Birmingham), Birmingham also hosts a wonderful network of canals and the international crowd, you will never be short of something to do or see in this city! Whether you are visiting as a tourist, visiting family or visiting the University as a prospect, the location of the Marriott is in a great location! We tried something different this time, we sent one of our reviewers to try the public transport and another drove, so we could give you the best of both perspectives. Getting there was easy! There is a train station (Five ways) just 6/7 mins walk away from the hotel. Whether you are coming fro the airport, New street (City centre) or the university, the train to five ways is under £5 and doesn’t take long at all! Driving was also easy, Hagley road is a well known road in Birmingham and the marmot is right on the corner! Upon arrival, check in was easy and quick, the downside that many of you may find is the £13 per night parking charge… but the system to log in your car was all self-service and done on a touch screen on the side of the check in desk, great to avoid having lots of guests in the foyer! The room was a deluxe double guest room on the fifth floor with a front facing view. There was a cute little note and some sweets to welcome us as we came in! This room is often offered and matched to families with children, as they have two large beds. The room was clean and the radio was playing as we walked in, a very lively and happy atmosphere to come in to! The room had a bathroom with his and hers sinks, a bath, shower and toilet! 10/10 for cleanliness from us! The wardrobe had bathrobes, a night robe and two pairs of slippers, along with a safe, hair dryer and ironing amenities, all the expected things! At night we decided to explore the area and things around, taking a walk in the surrounding streets. The hotel has its own bar and outdoor patio where gusts can sit outside, there were a few people enjoying the weather as we passed the hotel! Around the hotel there is a Morrisons supermarket, a costa coffee, and a hairdresser, but with broad street also within walking distance or a 3/4minute taxi ride (There is a taxi base right opposite the hotel), you sure won’t be short of night life! We were VERY pleased with the location! 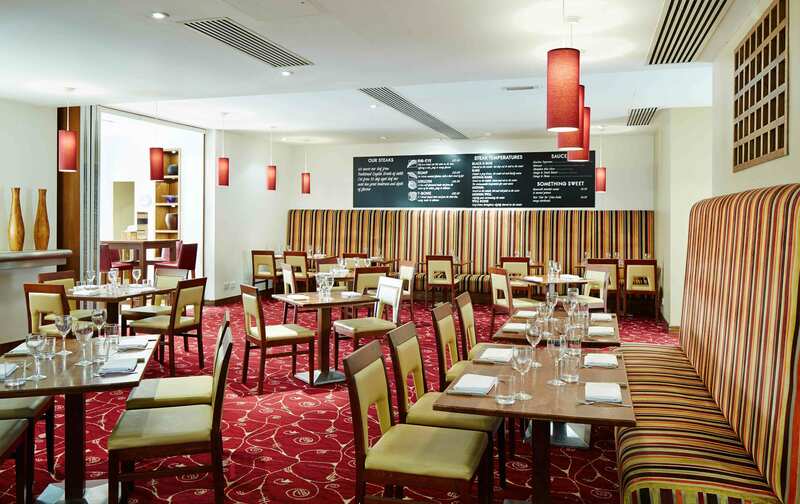 The Birmingham Marriott hotel also has a Starbucks, a restaurant, several meeting/conference rooms and often hosts conferences, training days, hen nights, stags, and much more! On our tour around the hotel we were shown the newly renovated rooms and also the ones in process of being updated, the restaurants has also been recently renovated and the staff there were fantastic! We were also taken down to the basement where there is a brand new leisure centre, with treatment rooms, a swimming pool, mixed gender sauna, jacuzzi and gym! This has also been updated and theres even swimming lessons for the little ones! These facilities are also available to the public, on a membership basis, as well as being free for the hotel guests! The Birmingham Marriott staff were friendly, our favorite member of staff was Greg in the restaurant, at breakfast, when he noticed one of us was wearing a hijab, he was kind enough to point out the sausages are not halal, but we can request vegetarian ones. The reception staff were welcoming, always had a warm smile and even the cleaners and housekeeping staff pottering about were full of energy and welcoming! It was like a little family of staff, each following a well known ethos of the hotel industry; excellent guest service and reception! The breakfast the Birmingham Marriott was a buffet style with a cheerful chef i the corner who made omelettes as per your liking! 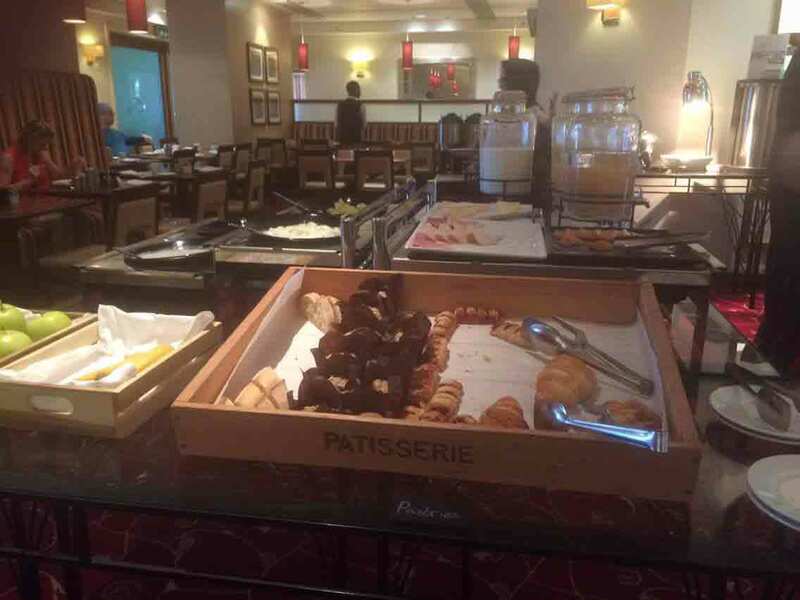 There was a range of pastries, toast, fruit, juice, as well as the hot buffet with everything you could want in an english breakfast! Something we noted were that the mushrooms were fresh mushrooms, not the tinned kind that a lot of hotels have! We took the liberty of ordering vegetarian sausages and they were also delicious! Served fresh and piping hot, they tasted great! Overall, our stay was sweet and we cannot stress enough how perfect the location is.. not slap bang in the centre, but too far away, and not isolated, theres lots around and lots to travel (not far) too! We would like to take this opportunity to thank the PR team, the staff and our coordinators on site; Nicola and Silvia for the tour!